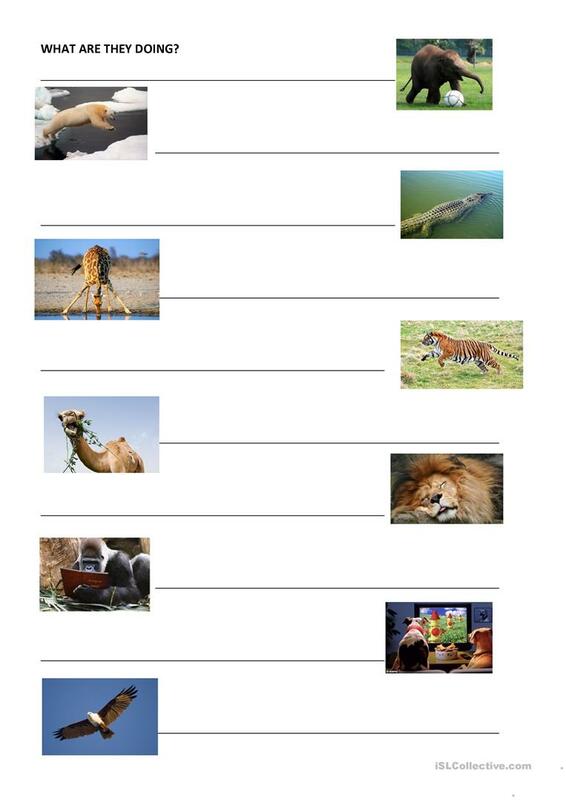 Simple exercise on present continuous and animals. Students describe what the animals are doing. Some combinations are quite funny. Students could extend this exercise with additional pictures or drawings as HW. The present downloadable teaching material is recommended for elementary school students at Elementary (A1) level. It is aimed at revising Present continuous (progressive) tense in English. It focuses on the vocabulary topic of Animals. lencica is from/lives in Slovenia and has been a member of iSLCollective since 2012-04-17 14:01:28. lencica last logged in on 2018-10-25 20:54:46, and has shared 18 resources on iSLCollective so far.